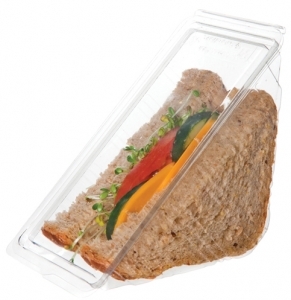 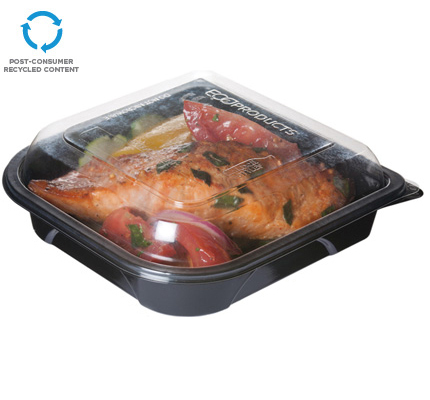 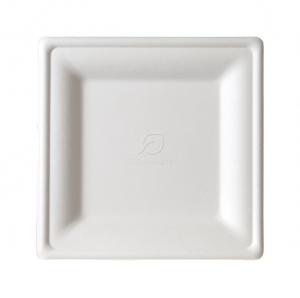 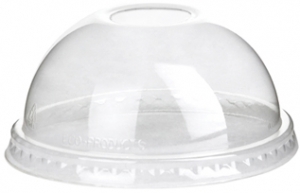 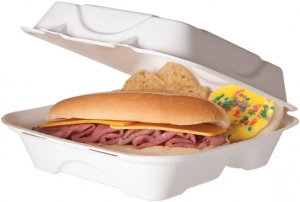 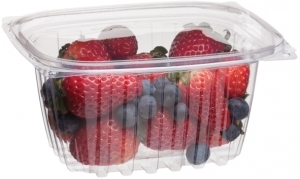 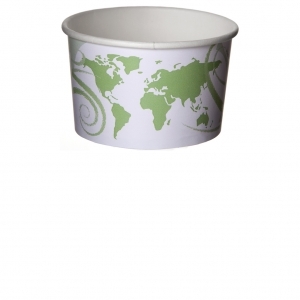 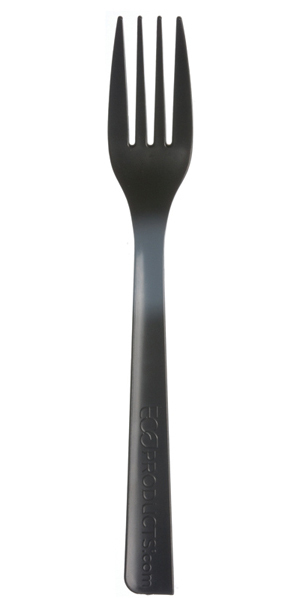 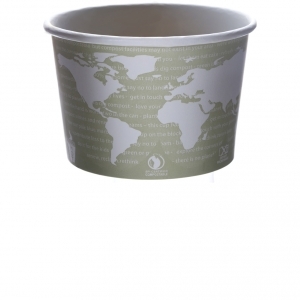 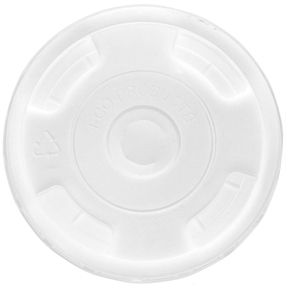 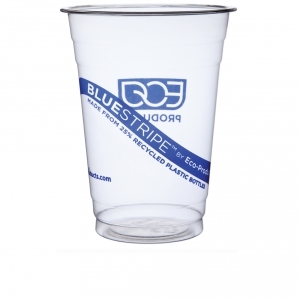 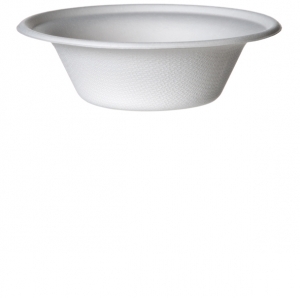 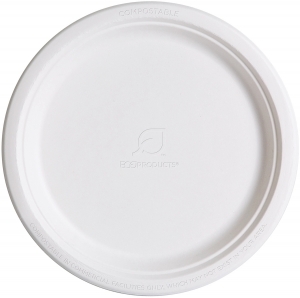 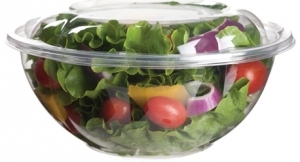 Made entirely from post-consumer recycled plastic bottles, 100% Post-Consumer Recycled Content Premium Take-Out Containers perform just like traditional plastic, without relying on virgin materials. 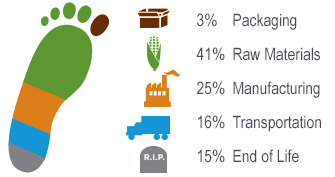 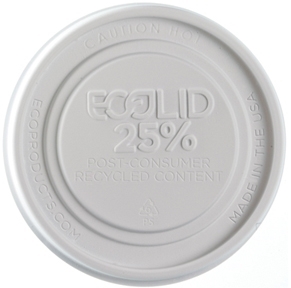 Choosing 100% Recycled Content Premium Containers can help save resources, help keep waste out of landfills and let you make a more sustainable choice. 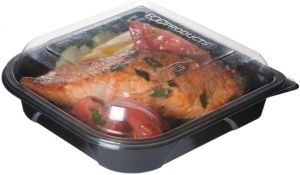 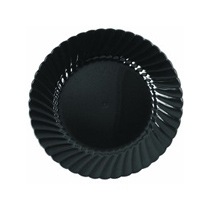 These upscale black bottom containers are sure to impress. 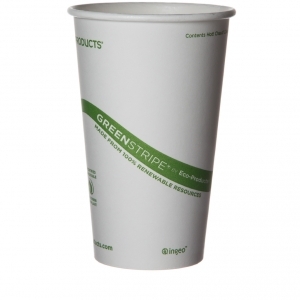 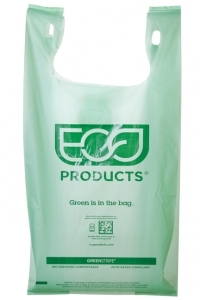 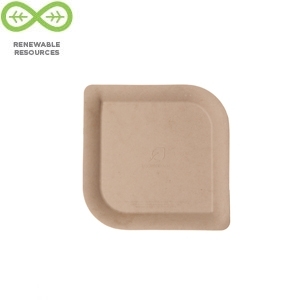 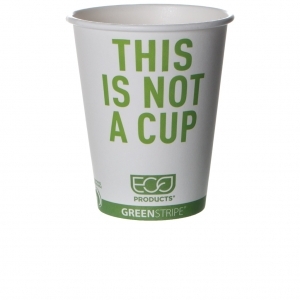 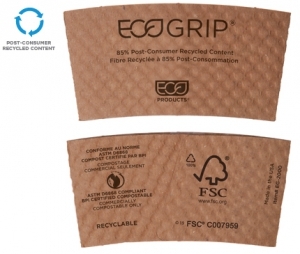 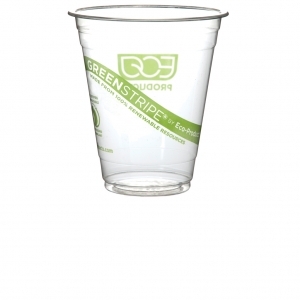 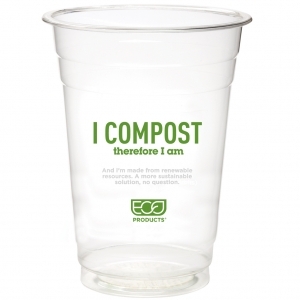 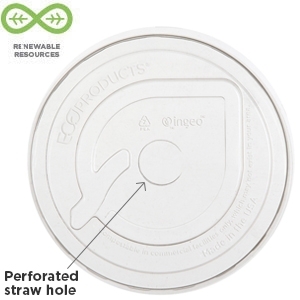 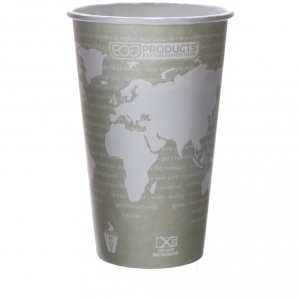 BOTTOM - Width: 5-7/8"	Length: 5-11/16" Height: 1-3/8"
TOP - Width: 5-3/4"	Length: 5-3/4"	Height: 15/16"
Made from 100% recycled plastic, these green beauties will make your food look gorgeous. 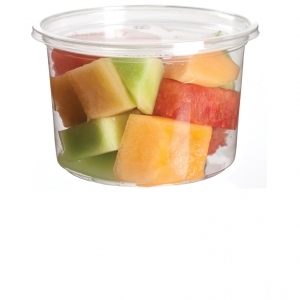 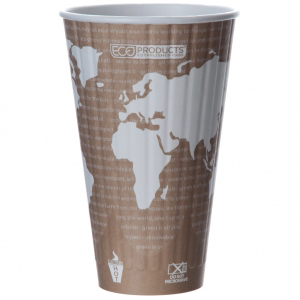 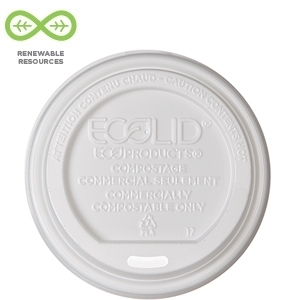 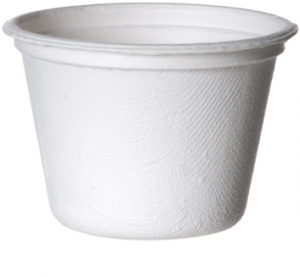 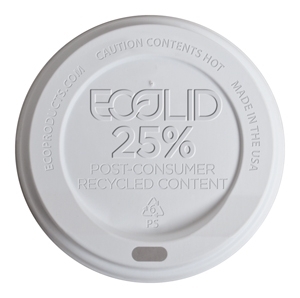 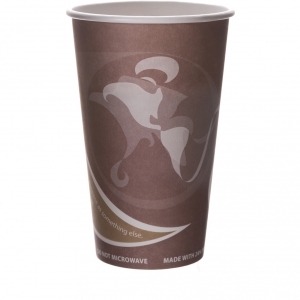 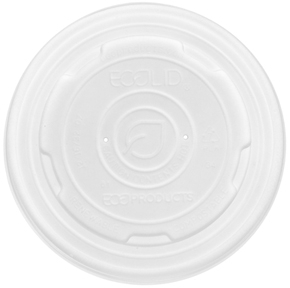 BOTTOM - Width: 6-3/4"	Length: 6-9/16"	Height: 1-3/8"
TOP - Width: 6-5/8"	Length: 6-5/8"	Height: 15/16"
Class up your hot or cold to-go display with these recycled content, premium black bottom containers. 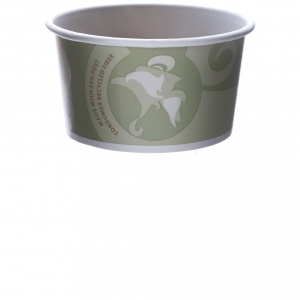 BOTTOM - Width: 8-15/16"	Length: 8-3/4"	Height: 1-9/16"
TOP - Width: 8-13/16"	Length: 8-13/16"	Height: 1-3/8"